Africa hockey defending champions South Africa has released names of players who will represent the nation at the Africa Cup of Nations to be held in Nairobi between September 26th to October 6th. 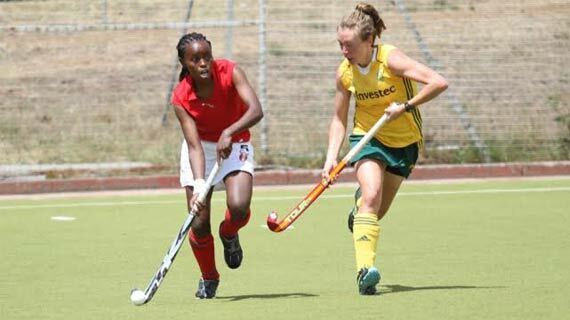 The South African Hockey Association released an 18 member squad for both men and women for the competition whose winners will qualify for the 2014 World Cup in The Hague, Netherlands in May/June next year. The SA men and women are the defending champions, having won the last event in Bulawayo, Zimbabwe in September 2011. Western Province’s star goalkeeper Jacque le Roux and defender Matt Guise-Brown return to the SA men’s team. Beijing 2008 Olympian striker Geoff Abbott also makes a return to the side after a lengthy absence, while London 2012 Olympics defender Andrew Cronje is back after a year out of the international game. The new caps are SA U21 defenders Dylan Swanepoel of Stellenbosch and Mohamed Mea of Durban. Egypt, SA’s biggest opponents for Africa supremacy in the men’s tournament, have withdrawn due to the political unrest in their country. There will be six men’s teams at Nairobi’s City Park Stadium, South Africa, Ghana, Nigeria, Seychelles, Namibia and hosts Kenya. The six women’s teams that have confirmed participation are: South Africa, Ghana, Kenya, Nigeria, Namibia and Tanzania. Men: Rassie Pieterse (Southern Gauteng), Jacque le Roux (Western Province), Andrew Cronje (WP, Rhett Halkett (vice-capt, WP), Matt Guise-Brown (Northern Blues), Jethro Eustice (SG), Dylan Swanepoel (SA U21), Mohamed Mea (SA U21), Austin Smith (capt, WP), Jonty Robinson (NB), Clint Panther (SG), Wade Paton (KZN Raiders), Tim Drummond (KZN Raiders), Taine Paton (KZN Raiders), Julian Hykes (SG), Geoff Abbott (KZN Raiders), Pierre de Voux (WP), Lloyd Norris-Jones (WP).